How Much Do Gold Teeth Cost? If you want to get the best treatment for a dental restoration, or just want to impress your friends and family you may want to know how much gold teeth cost. These days not everyone thinks about getting them as the price of a single gold tooth usually scares them. Practicality usually gets in the way when the costs are taken into consideration. If an ordinary crown or bridge will do just the same job then why pay more for it? However, with the price of gold expected to climb in the future it actually may be a good investment. 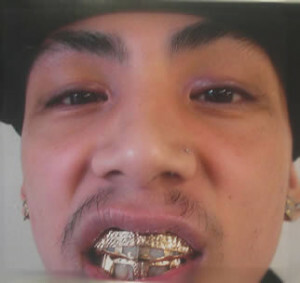 One can get a set of gold teeth in a variety of ways. You can have a gold crown, bridge, implant, denture, decorative plate, or a whole gold tooth itself. The varying structures of these dental fixtures make it quite affordable at times to get gold teeth aside from the fact that you can also have them in varying karats of gold, which can be higher or lower in cost. Hence, the choice would really be up to you as there are ways in which you can get them at a lower price than what you expected. It is important for you to get all the information that you need before you decide to have gold teeth. The cheapest way to get gold teeth is through dental crowns. They are gold casings, which are attached to the remaining parts of the teeth in order to cover the teeth and protect it from further decay. Since it is just a shell, it will not require a lot of material and would practically cost less than having a full gold tooth. Depending on the karat of gold that will be used, a gold crown or cap can cost from $500 to $1,500. Additional work on the tooth can also add other costs to the job. The next is gold dentures. If the tooth has lost its roots and needs to be replaces, dentures can be your next best bet. You can get them in partial forms, which can cost from $2,000 to $4,000 depending on the number of tooth that has to be replaced. If you need full sets of dentures on your upper and lower teeth, then you need to prepare at least $4,000 to $8,000. These dentures usually have 50% to 90% gold in them so you can expect to get a good amount of gold when you finally wish to sell them. You can read more about places to buy gold teeth for personal use on this page.